Hi everyone! Welcome back to another great Tasty Tuesday! 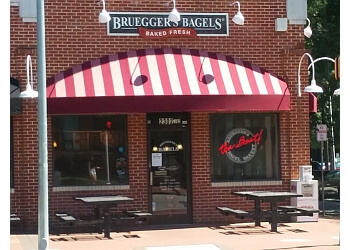 This week’s spotlight is on Bruegger’s Bagels located at the corner of Logan Court and Hillsborough Street. Bruegger's is a go-to spot for everyone on campus. They serve great coffee and even better bagels and sandwiches. Bruegger’s is a great place for an affordable breakfast or lunch. A single bagel is only $1.39 and a half dozen donuts is $6.49. Also, most items on the menu are under $5! Bruegger’s Bagels started out in New York City in 1983. They worked on their recipes for over two years before deciding to expand locations down south. Currently, there are 300 locations in 26 states. I thought the most popular time for Bruegger’s would, naturally, be in the morning for breakfast, but when I went in at lunch it was packed with customers. I had to wait in line, but it moved pretty steadily. My regular order at Bruegger’s is a cinnamon sugar bagel toasted with butter. And yes, that is a very basic choice, but it is delicious! However, when I got to the counter I saw pumpkin bagels were back just in time for fall, so I had to snag one of those with plain cream cheese. Bruegger's is also offering pumpkin flavored cream cheese, but I passed on it this time. The pumpkin bagel was tasty. It didn’t have a very strong pumpkin taste, so I think all pumpkin lovers will like this item. I didn’t order coffee this trip, but they are offering pumpkin coffee also! I went with a Strawberry Banana Naked smoothie instead, just to sweeten up my lunch. With all the pumpkin options, Bruegger’s is a great place to grab a very fall inspired meal. Be sure to check it out before all the yummy seasonal items are gone! 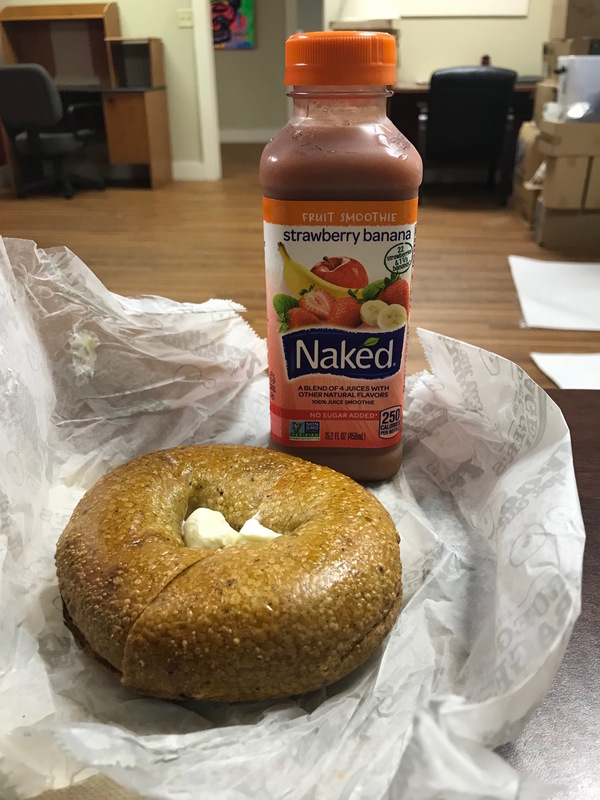 Bruegger’s Bagels hours are 5:30 a.m. to 6:00 p.m. Monday through Friday and 6:00 a.m. to 4:00 p.m. on the weekends. 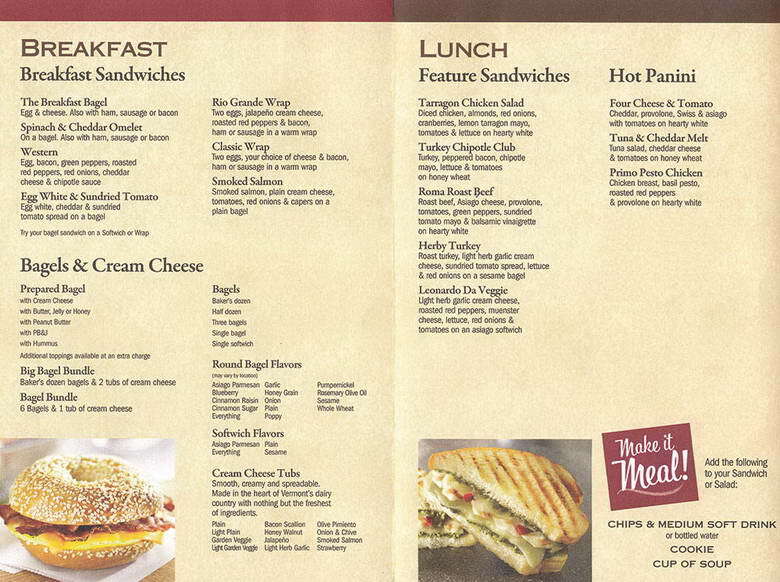 Bruegger’s is great for a brunch or lunch and they cater! They take catering orders online, so it is easier than ever to order your delicious bagels and sandwiches. Bruegger’s is located at 2302 Hillsborough Street and they are currently hiring!